NOTE: ACP Market is a Celestial Benefit, and thus you would need to have an upgraded Celestial account first. First of all, it's probably fair enough that you familiarize yourself with our ACP Market Guidelines posted here. Rules are pretty straight forward. 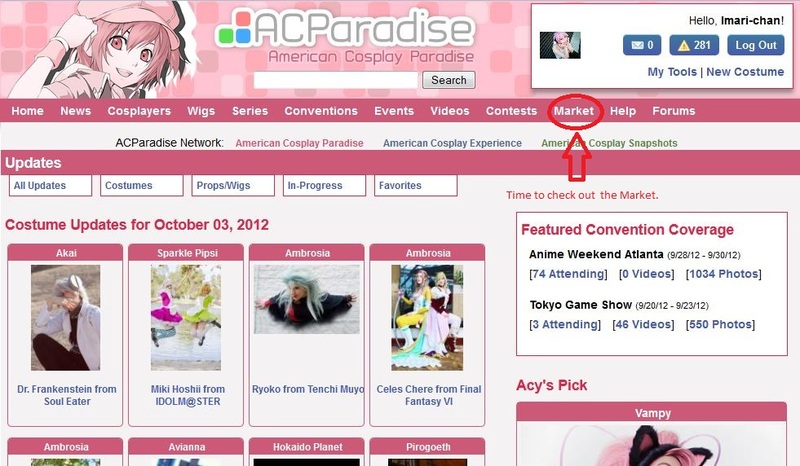 In this tutorial we'll show you how to maximize your ACP Market, i.e. how to use it to the fullest. These are the features of our Market. 1. Entries in our Market show up in the Market page, based on most recent updated photo. 2. 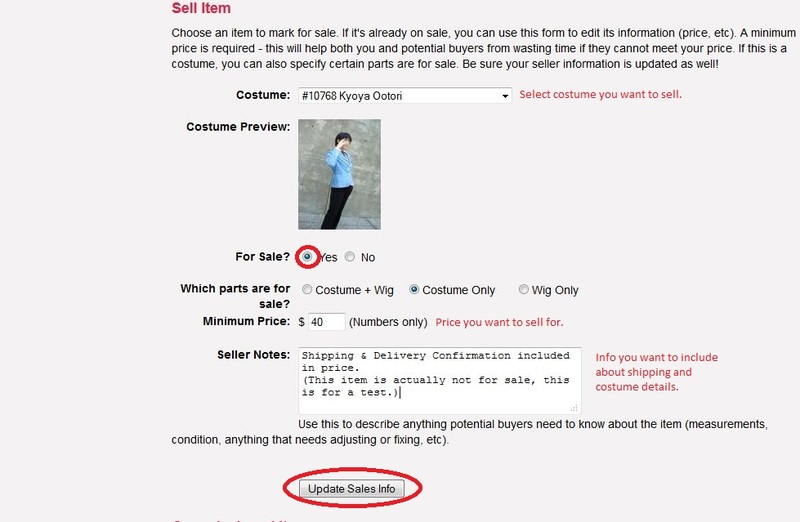 Your sale items show up in our mega costume database as being for sale. 3. 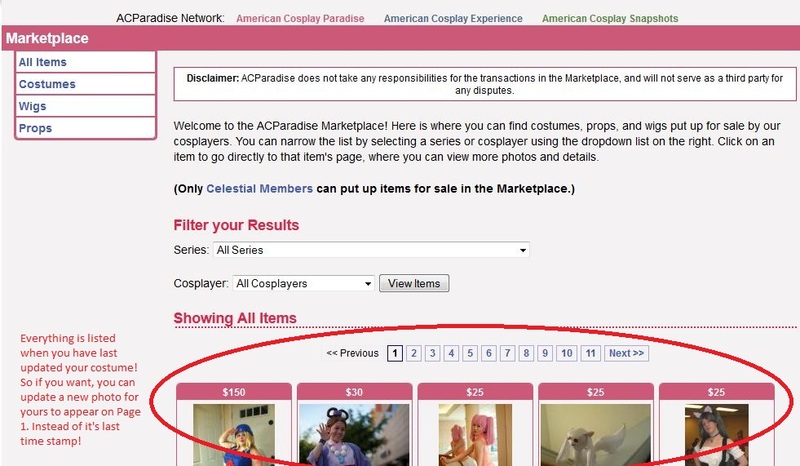 You simply mark existing costume/wig/prop entries that you have for sale, and don't have to reupload all your photos. Just simply add sales description and flick a switch. 4. If you get cold feet, just go to the costume and turn off the sale switch. It's that easy! You'll see that you'll be able to set your commissions status while you're here. You'll be able to designate if you commission costumes, wigs, props or accessories and a little description of your capabilities. 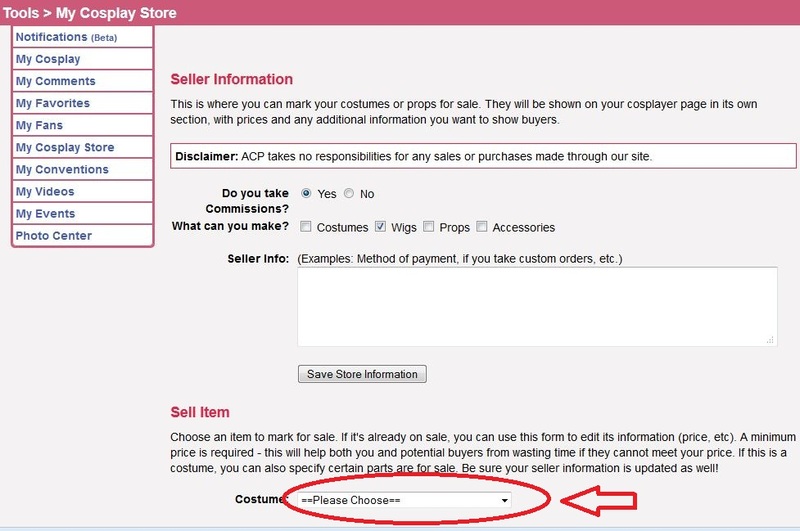 Using the drop down box below Commissions status, select the costume from your profile you want to list for sale. 4. After you select your costume, it will give you detailed fields for you to fill out. 6. Snap, it didn't show up! 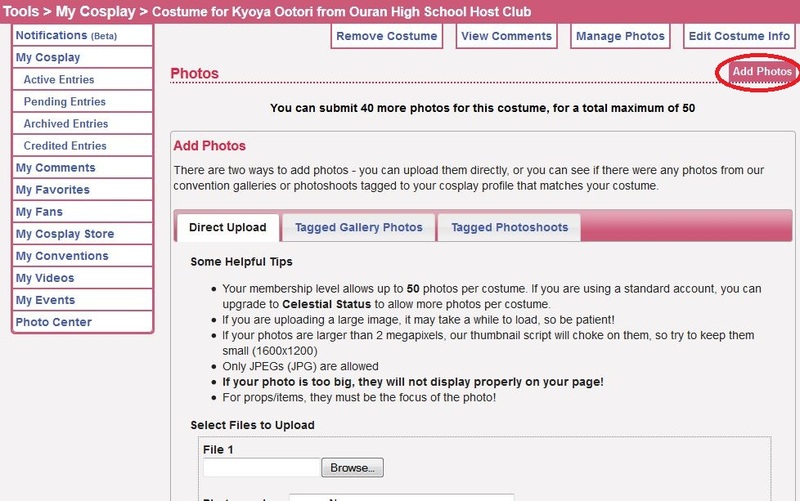 That's because the order of the updates shown on the market are done by the last time a photo was added to that costume. Well you want it on top. So time to fix that. 7. Track down your costume. 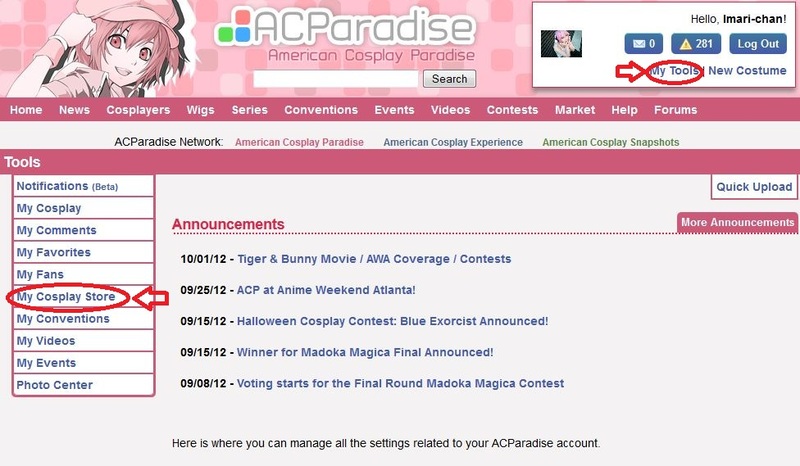 My Tools -> My Cosplay -> Active Entries -> YOUR COSTUME and click the camera icon so you can add new photos. Now probably you don't have any new photos to add, so we're totally ok with you uploading a duplicate photo, with you photoshopping FOR SALE all over it. This serves two purposes. 1. 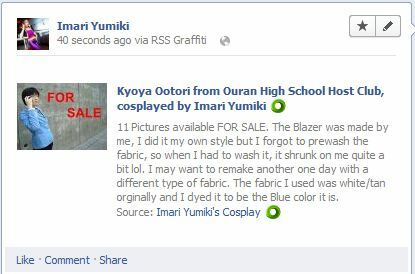 You can delete this duplicate photo after the costume is sold without affecting your usual gallery and 2. 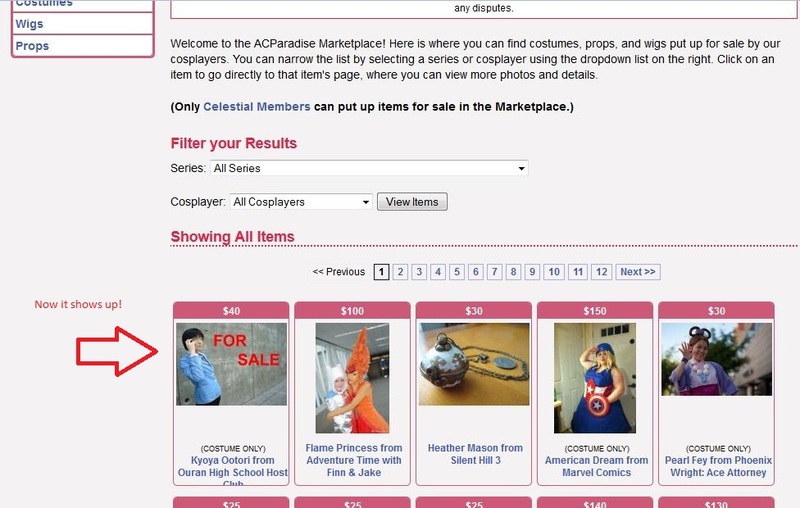 This FOR SALE photo will show up on the main updates page of ACP advertising your costume for sale. 8. 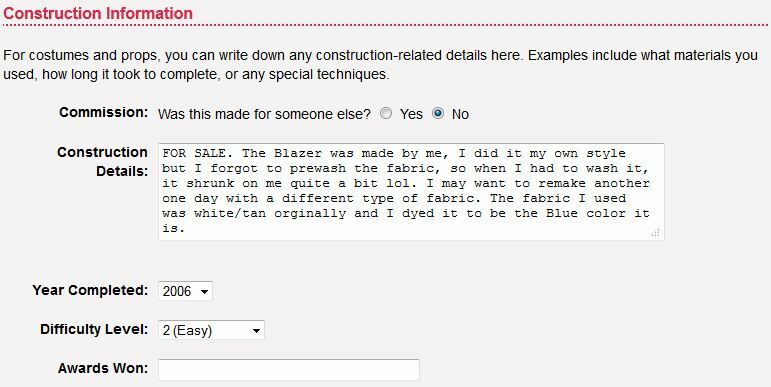 (SUPER OPTIONAL for FACEBOOK USERS) While you're here, let's throw in a quick FOR SALE text in your Construction Notes. This will trigger a FOR SALE showing up in your Facebook posts. Click "Edit Costume Info" and put it in. 9. Now let's check the Market again. 10. Now if you want the ACP to feed this to your twitter or facebook, you need the ACP RSS installed BEFORE you add the photo. 11. The RSS feed will process that FOR SALE text you slipped in the construction notes and the new FOR SALE photo you just put uploaded.